Brimstone Hill Fortress National Park is a UNESCO World Heritage site that features an outstanding, well-preserved example of 17th- and 18th-century military architecture in a Caribbean context, which was built by African slave labour. Land Area: 67.95 sq. mi. St. Kitts was first occupied by Ortoiroid groups who migrated from the South American mainland around 2150 B.C. The site of Sugar Factory Pier has been investigated briefly by archaeologists, yielding a radiocarbon date of 2090 B.C.−2210 B.C., one of the earliest dates for habitation in this region of the Caribbean. The stone and shell artifacts from the site show a close resemblance to assemblages as far away as Trinidad. Cultural links with Antigua in ancient times are also suggested by the discovery of flaked stone tools made from the fine chert originating in Antigua. Very little is known about the transition to the later Saladoid occupation on St. Kitts, but the Saladoid presence itself is better marked by the existence of village-based agricultural populations. At first the Saladoid groups had a distinct preference for inland settlement along river terraces, but they likely over-exploited the land-crab resources of the island for their dietary needs. Thus, late Saladoid sites show a preference for coastal marine locations, indicating a shift in their settlement pattern to accommodate a depleted land resource. Carib peoples arrived on St. Kitts in a third major series of migrations beginning around A.D. 1000. The descendents of these same peoples met Columbus upon his arrival in 1493. 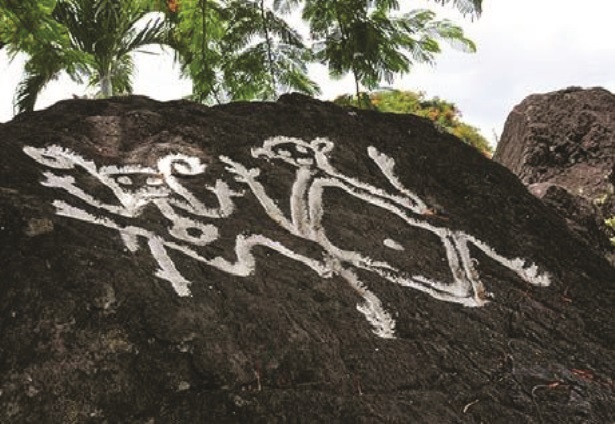 It is thought that the petroglyphs (rock carvings) found on St. Kitts were made by early Carib groups or their immediate predecessors, the last Saladoid colonizers. Caribs peoples were still thriving on the islands when the French settled them in 1538, followed by the British in 1623; but despite a short-lived period of peace these were never peaceful years due to Carib unrest over possession of their homeland. Between 1626 and 1628 the British and French united toward ending all Carib insurgency, which resulted in a severe reduction in the Carib population, the death of their chief (Tegramond), and the departure of any Carib survivors who then sought refuge in other islands. 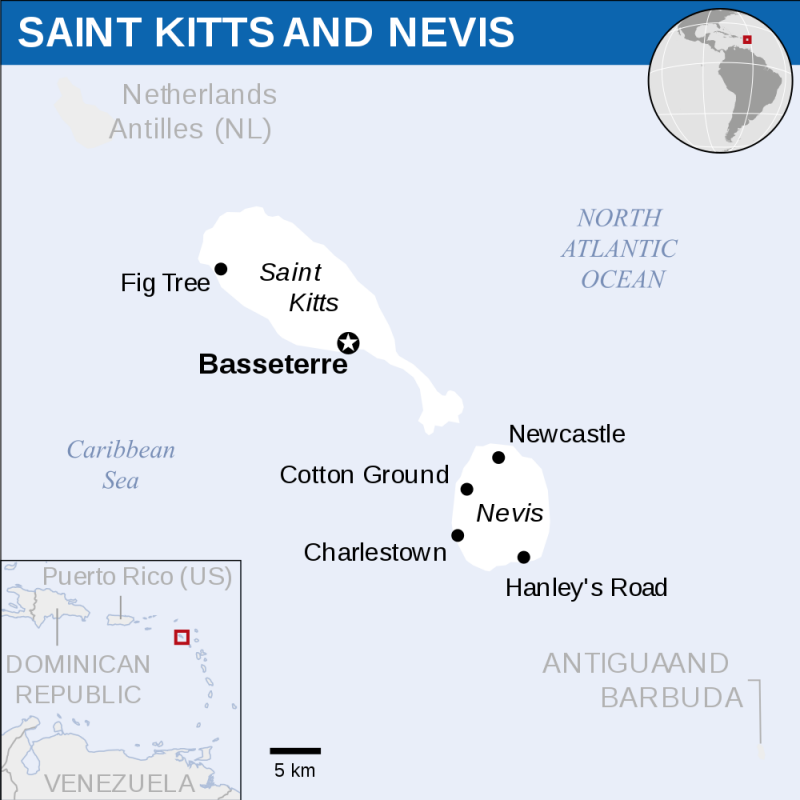 Because the islands are so strategically important, the French and British shared ownership until the Treaty of Utrecht was signed in 1713, making St. Kitts and Nevis a British colony shortly thereafter. The plantation history of the islands dates back to the time of the last Carib uprisings of the early 1600s, when cotton was grown by the British, followed by sugar and the importation of African labor for the sugar industry. This plantation history has become increasingly well documented by archaeological investigations on former estates, such as Coconut Walk Estate in southeastern Nevis. While historical records have tended to focus on the planter class of this era— such as the infamous owner Edward Huggins of Coconut Walk—historical archaeologists have become increasingly interested in understanding aspects of the lives of enslaved people on Caribbean plantations. We now study such topics such as the importation and survival of African folk tradition and beliefs, practices of spiritually, beliefs about witchcraft (obeah), forms of passive rebellion, and all the material remnants of these aspects of enslaved peoples’ lives. 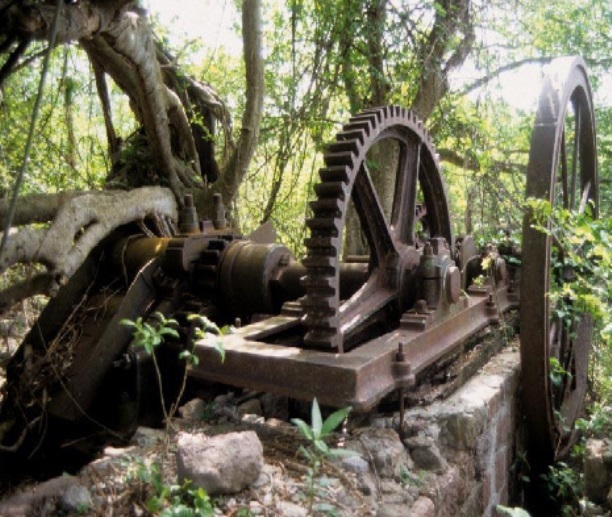 In situ remains of the mill complex at Bush Hill Estate, a former sugar plantation in SW Nevis. 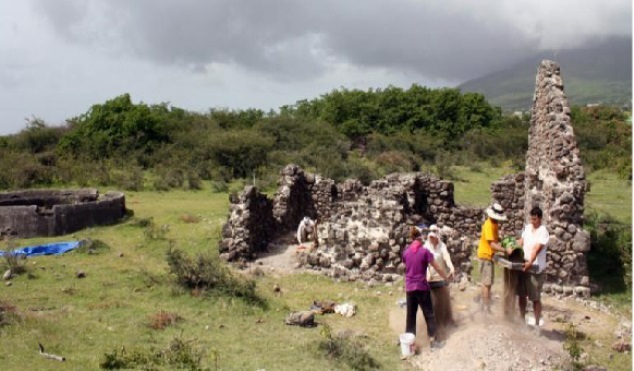 Archaeologists at work in historic period site, St. Kitts and Nevis. 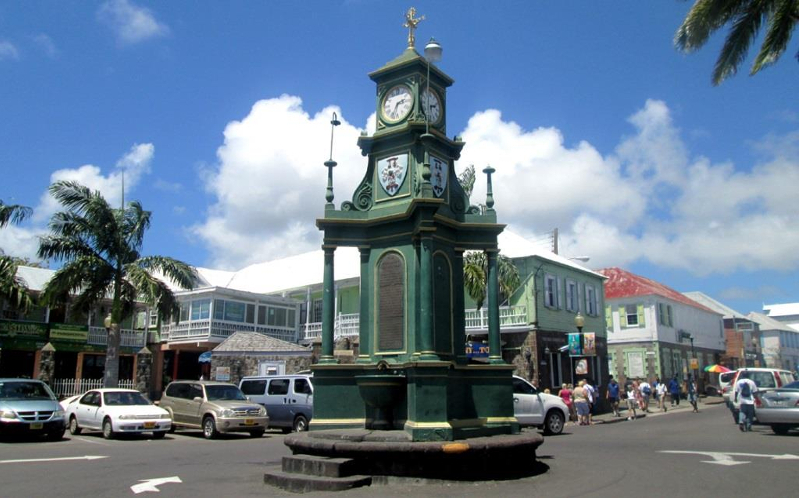 The links below offer some opportunities to engage with heritage of St. Kitts and Nevis. 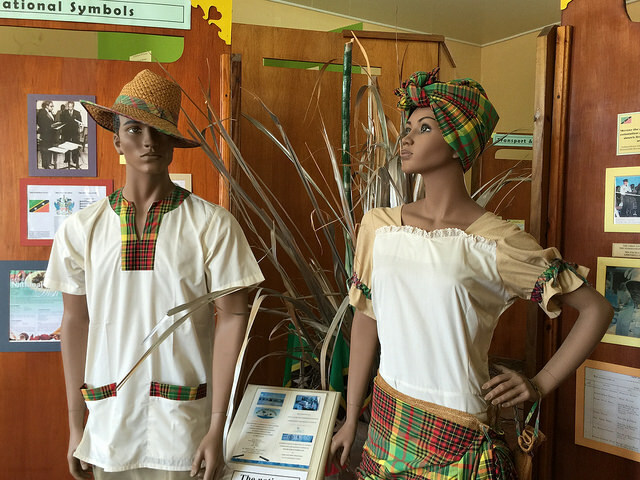 Here is a sampling of the traditional arts and crafts in St. Kitts and Nevis. Please see below for some of the events that St. Kitts and Nevis offer in their annual calender of activities. Click on the links below to learn about some establishments that showcase the history, archaeology, and heritage of St. Kitts and Nevis.